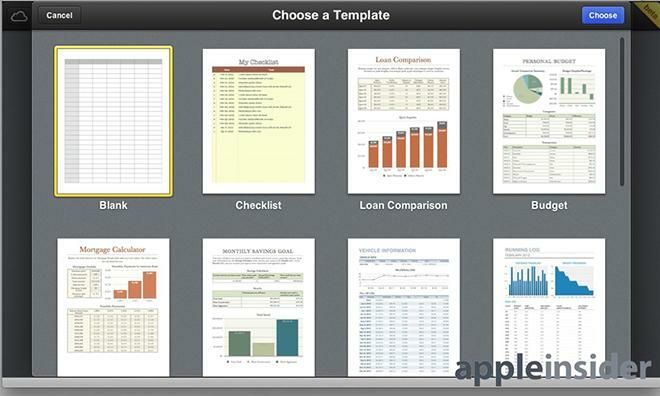 Announced earlier this week during the WWDC keynote, iWork for iCloud is now available for developers. In an exploration of the beta, AppleInsider found that its overall function was very smooth, with quick loading times and no hiccups or bumps in its animation or responsiveness. 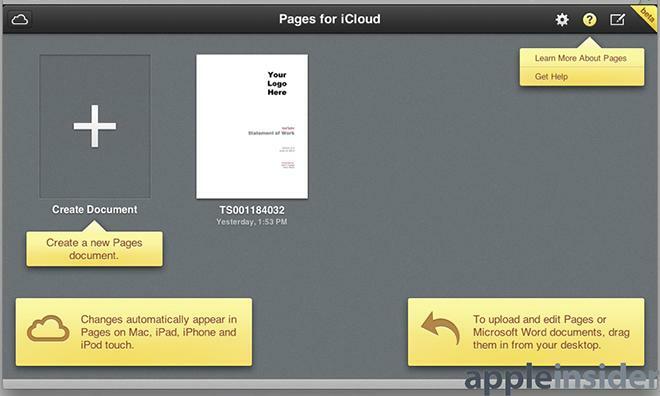 As Apple showed off in the iWork for iCloud demo, users have the ability to directly import MS Word files into the browser-based productivity suite. Apple's demonstration went off without any snags, and our experience was much the same. We imported an MS Word template from Office 365 and experienced no issues in the transition to Pages. 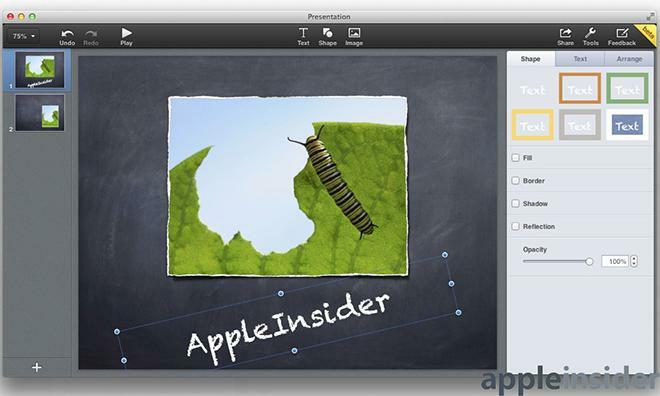 There were also no problems in typing out a document in iWork for iCloud and moving it over to the OS X Pages app. 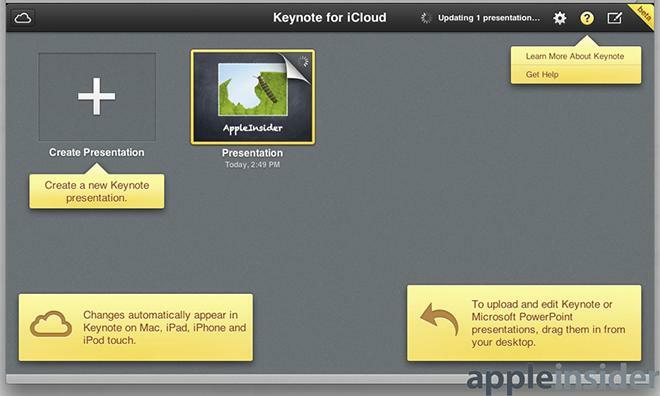 Keynote is a favorite around here, and we were pleased to see that Apple is adding new features to Keynote in iCloud. 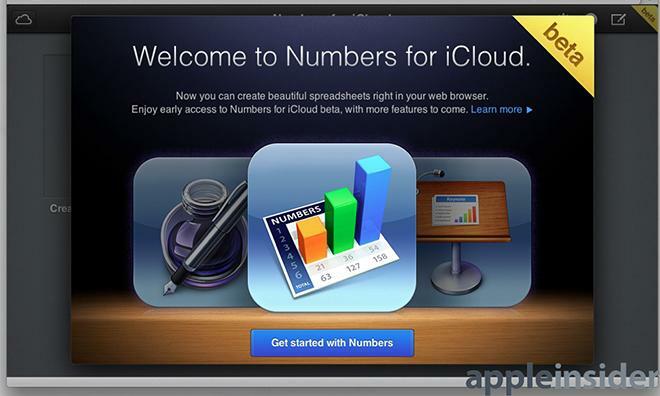 Typically, text can't be rotated in the desktop version of Keynote, but we've found that the iCloud version allows it. It's not clear how the resulting slide will translate back to the desktop or over to iOS, but we're hoping the feature trickles down from the web to the other platforms. In Numbers, when a spreadsheet with forms, those forms are hidden. Users can, though, edit a table linked to a form, and those edits appear in the form when the spreadsheet is reopened in Numbers for iOS. In the Numbers for iCloud beta, deleting a table linked to a form clears the form. It appears Apple still has some work to do on this aspect of the software  thus the "beta" label  since it can be difficult to tell at times which actions will actually delete or clear a form. We did have at least one issue that slowed us down in dealing with the beta: keyboard shortcuts, or more specifically the lack thereof. 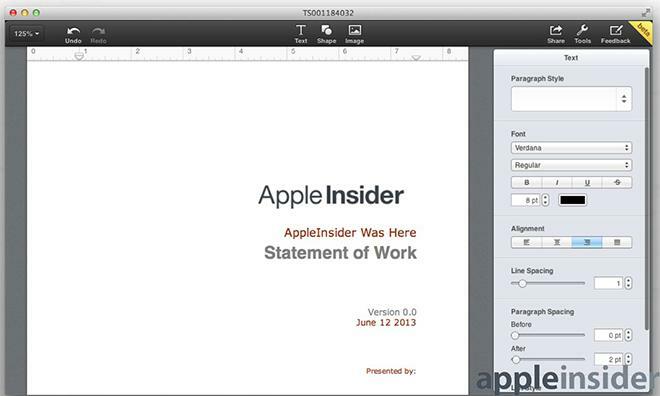 In the desktop version of iWork, creating a new document is as easy as Command-Shift-N. In iWork for iCloud, though, one must mouse over to the lower left and click for a new slide, which tended to take us out of a well-practiced workflow. In all, though, we'd have to say that this is the best web productivity tool we've used to date. It exhibits the same level of care and ease of use seen in Apple's other products. 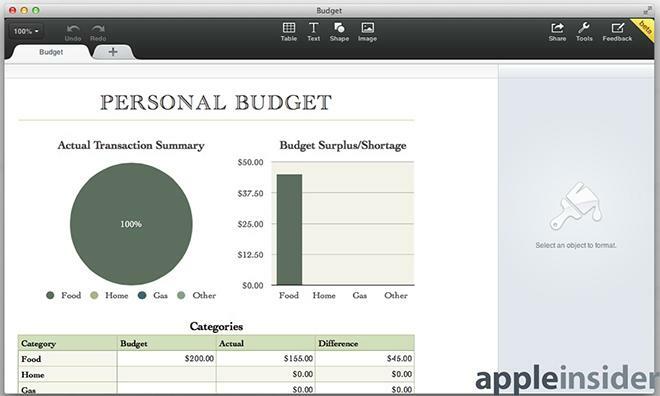 We're very interested to see what shape iWork for iCloud takes when it finally comes out of beta.